Are you a music lover but don’t know where to go? 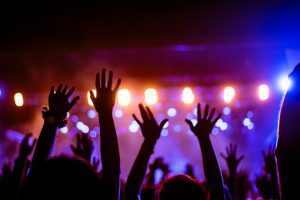 Have you checked out Pensacola’s Vinyl Music Hall? Less than an hour away from Bel Aire Terrace Apartments , you can get your music fix with live bands. From Country to Hair Metal, Vinyl Music Hall has you covered! Visit their Facebook page for their lineups and be sure to visit Bel Aire Terrace as well for upcoming events around the Crestview area.